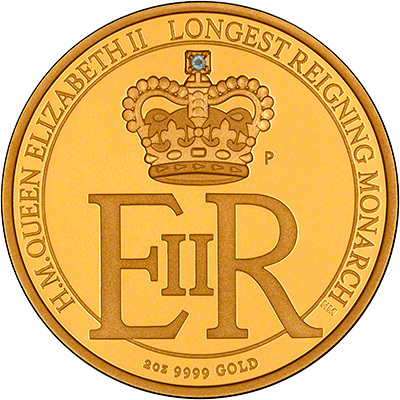 The world's top mints have issued coins to commemorate Queen Elizabeth becoming the longest reigning monarch on 9th September, 2015. Official celebrations began the following day on the 10th September. Here we have the most popular gold coins. 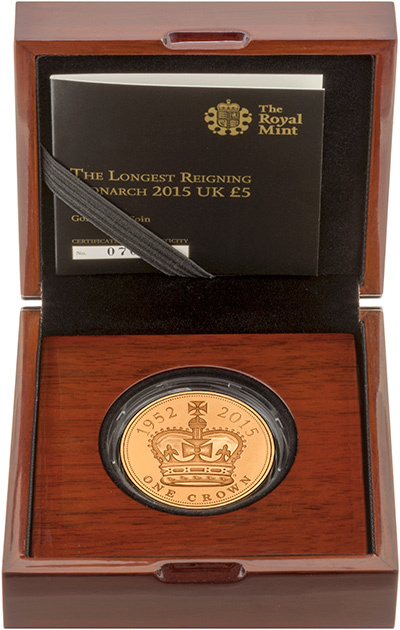 We have the 2015 Longest Reigning Monarch Gold Proof £5 Crown in stock now. The Perth Mint are also offering a selection of coins. We have the 1/4 ounce gold proof and 2 ounce gold proof versions.